For those who prefer to communicate via Facebook. 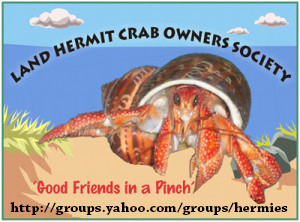 Our Land Hermit Crab Owners Society main group is located at Yahoo!Group. There are just under 2000 members as well as files, databases and more.